Lockheed Martin is proud to announce that the next generation of simulation and training will start on May 30, 2017 with the public release of Prepar3D v4. The release culminates over eight years of Lockheed Martin development and welcomes major enhancements and new capabilities. Lockheed Martin’s Prepar3D v4 – available May 30, 2017 Prepar3D v4 completely changes the simulation landscape with a comprehensive baseline update to a 64-bit architecture. Higher resolution visuals, more objects, increased data precision, larger scenarios, and improved performance are now all possible at levels never seen before in the product’s history. The sky’s not the limit! Additionally, the release brings dynamic lighting, rain/snow particles, global 3D trees, a fully reworked software development kit (SDK), new default vehicles, and countless improvements. More details will be released over the next week with Prepar3D v4 being directly available from Prepar3D.com on May 30, 2017 at 2:00pm EST. Now this is something not many have thought about I'm sure! We're all holding our breath for a very long time for 64bit sim programs and we get this news...Dove Tail strictly simconnect and Prepared3D 64bit is not up for FSUIPC. I think we all need to beg Pete to update FSUIPC! Otherwise, we learn simconnect for Dovetail...uh, yeah right...and what will Prepared3D use; they surely must've thought about hardware interfacing. Of course, we'll still have Xplane, but think about how everything is currently based on it, ie XUIPC versus FSUIPC. All the hardware companies' add ons and IO cards work best with FSUIPC, and when you think about it, isn't everything circled around offsets? Time will tell if the V4 gain is overwhelming for cockpitbuilders vs the headaches, frustrations and cost associated with the switch. 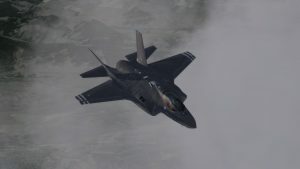 Just as a reminder, I used Fs9 for 10+years with superb addons which did not make FSX attractive enough with all its performance shortcomings . I had a blast flying a full blown DSTD with next to zero issues. I will probably do the same with P3D V3.x and SimAvionics which, used together, are very close to the kind of reliability I expect from my sim. Chasing the end of the rainbow is what ends up making many people quit the hobby. In any case, a kind word of appreciation to Pete is always a good idea as this Guy did more for us than anyone else, and it can only encourage him to do his usual magic. So patience is on the order. Some people go nuts doing so and leave the hobby whilst some of us just enjoy the pain too much! I have a mixed WideView setup.... I use FSX for my WV server and P3Dv35 for my 3 clients that perform the actual projection. WideView is cross-compatible that way. It is the FSX computer that is linked to my SimA computers. The reason I do it that way is that FSX is a much more stable platform....it simply never crashes particularly with all the sliders set to minimums (since I do not use video off that computer). It is interesting since I have always been plagued with P3D crashing on my WV server, but P3D never crashes on the WV clients even though that is where all the scenery rendering demand is. So....if WV works (or can be updated) for P3Dv4 I would have the best of all worlds! Provided that such would still be compatible with FSX or P3Dv3. A WV update would be a much simpler update than FSUIPC I would think. I have a query post up on the WideView forum. After reading Pete's Support forum, he has eluded to rewriting fsuipc, however I guarantee it will require the purchase of another fsuipc license. FSUIPC 5 supporting 64 bit P3D will be available with some functionality not critical to the offsets, present. I think I detected a hint that he was already in the development process. So there you have it. I think that migration to P3D v4 will be doable after all. No go with current version of WideView, its a 32 bit DLL. I sort of expected that. The thing is, Luciano is nowhere to be seen or heard of of late. So I would be surprised if an update for WV 64 bit will ever happen. That means I will be stuck on P3Dv3....unless performance for P3Dv4 on a single computer at least matches what I am getting on 4 computers. At least I could simplify my setup. On that aspect.....how much of a performance boost are you seeing with P3Dv4? Frame rates practically the same as v3, but with slightly higher/better graphic settings. The extra memory access is the main advantage. Overall v4 is better than v3 but still CPU bound. Just fired up V3 a week ago and trying again to get a certain M 11 product to load. For me it only works in V2. Picked up more Orbx stuff on sale and some A2A GA planes. Bought V4 today to see how the future looks. I'm still a year plus from jumping back into a build and likely something like a King Air or maybe something G1000 based. FINALLY Lockheed Martin you made a 64 bit version I have been waiting for this for over 5 years. Similarly to our friend JackPilot, I have been running FS9 for ever - happily so I may add, as nothing beats the best of both world, a ton of custom scenery and maximum details and frame rates. but, the only shortcoming of course has been the limitations associated with the 32 sim (ram and no video card rendering) therefore, that is the only reason why i have been waiting, for what is the point of having 32 Gigs ram and 2 monstrous video cards ( I own a computer store) if you can't use them? As far as FSUIPC is concerned I believe Mr Peter will have to make a 64 bit version (thank you Pete), otherwise we are dead in the water, plus, he may be able to make a good buck on the 64 bit licences. But, my only question is this, and I would appreciate it if you guys would finally clarify this point for me. Q: If One goes ahead and installs P3D-64, and then a bunch of terrain meshes and sceneries airports etc.... what happens when LM decides to update to V4.1 -V4.2 etc.? do we need to remove this version (4.0) and start from scratch again, or can we update P3D-4 directly, without removing it first? thank you so kindly everyone! Mark -747-400 sim. what happens when LM decides to update to V4.1 -V4.2 etc.? do we need to remove this version (4.0) and start from scratch again, or can we update P3D-4 directly, without removing it first? Anyone have anything to report on how well P3D V4 runs on a multi-display setup (single computer) versus V3? As a multi-channel (WideView) user for almost 15 years now I am on the verge of making a decision to bite the bullet to invest in the best rig possible at this point (Titan 1080 water-cooled GPU for example)to run my multi-displays off a single computer. The thing is I will be very disappointed if it does not at least approach the display performance of what I have running 4 computers (server + 3 clients). I am not looking to exceed....just to match, or nearly match. I know that P3D V3 is well short of that criteria. It is been hard to glean that understanding context from the forums to this point. In any event I will most likely spec out and put my order in for the hardware this weekend and find out firsthand. Support for WideView appears to be dead going forward, and I do not want to be stuck on V3 in any event. Where did you get the collimated display from? Or did you make it yourself? Thank you for the offer Bernard. I wish I could it take it, but that is still a long way ahead. I'll start thinking about the display once I get hold of a real cockpit, but that won't happen untill a long time from now. Thanks for your email. The conversion of wideview into 64bit environment should be possible. I'm currently having a look into it, but it may take a while, as I will need to re-design different parts and I will not know if I will actually succeed in malking the new release, until I will not complete at least part of the convertion. Why is there always a lot of intrigue and mystery surrounding this hobby? Page created in 0.63 seconds with 26 queries.